These are ASUS X540UA-DB52 drivers for Windows 10 64 bit you can download and install to get your laptop work properly. 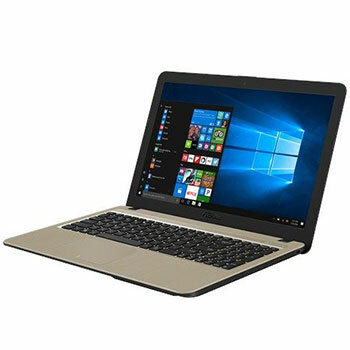 ASUS X540UA-DB52 is 15.6-inches laptop powered by 3.1 GHz Intel Core i5-7200U 2.5GHz Kaby Lake dual-core processor with integrated Intel UHD Graphics 620 video card. This ASUS VivoBook 15 X540UA notebook comes with 4 GB DDR4 2133MHz SDRAM memory which can be upgraded up to 12 GB. It also comes with 1TB 5400 rpm FireCuda SATA HDD hard disk drive with 8 GB cache. This mobile computer features 802.11ac Wi-Fi, Bluetooth 4.2, HDMI port, USB 3.0 port, micro SD card slot, 2 W Stereo Speakers with ASUS SonicMaster Technology, VHA web camera, and 3 -Cell 33 Wh battery. Operating System : Windows 10 Pro - ASUS recommends Windows 10 Pro.